There’s nothing worse than clouding up your kitchen with exhaust fumes, smoke or the lingering smell of like last night’s chicken. You open the windows, turned on the ceiling fan, the microwave fan and your smoke alarm still keeps going off. Whether you are building out your high-end kitchen or updating your space to be more home-chef friendly, here's our guide to one of the most talked about appliances. 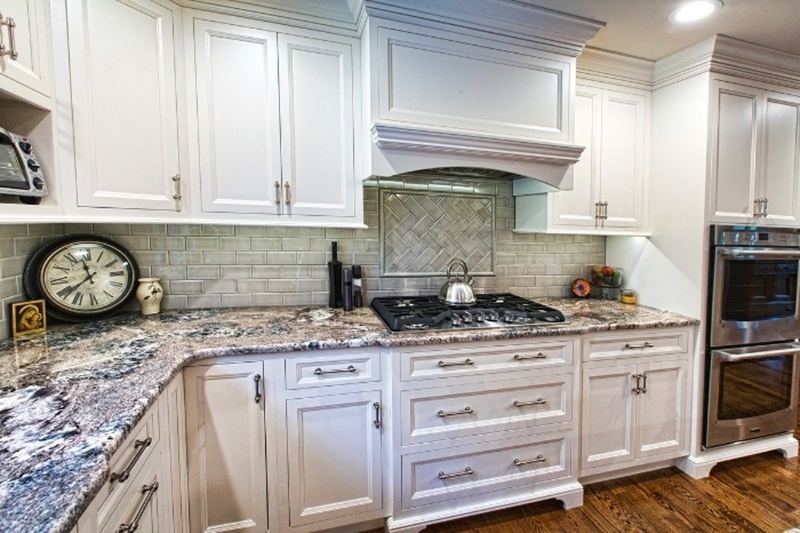 Over-the-range hoods started as a kitchen function, and have now crossed over to be an eye-catching design piece. Most companies offer stainless steel, providing your kitchen with clean, shiny new detail that also serves a great purpose. Other styles are built to look like a wooden mantle. Regardless of the hood you buy, you can work with a design-build firm to help build your hood into the style of your kitchen. Whether you box it in to match your cabinets or leave it exposed, it can be a great piece to give a design flair to the incredible functionality it provides. On top of that, you don’t have to pay a high price to purchase a professional-style hood. You may already have a substantial, stainless heavy-duty microwave with a fan, but many microwaves just recycle the air into your home. You need a system that pulls the air out of your kitchen completely. Hoods have been tested and excel when it comes to removing smoke and fumes, as well as exchanging exhaust air for clean air. They are notably quieter than your microwave fan and do a better job focusing on even cooking since the fan actually covers your entire stove. Okay, what is the best type of range hood to buy? 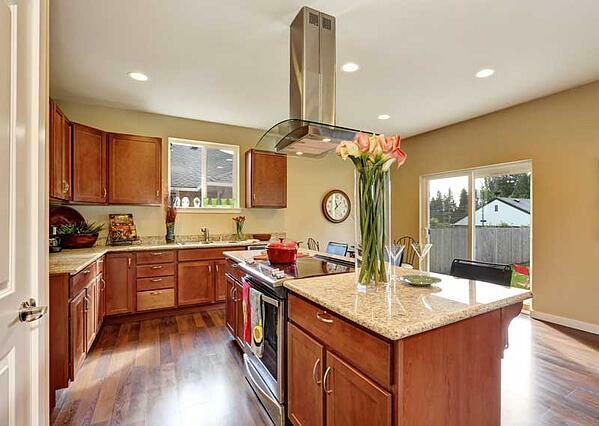 Well, there are a few things to consider when choosing the right range hood for your kitchen. Make sure to get a vented hood range, because ductless hoods are known to disperse fumes and odors throughout the kitchen and household. 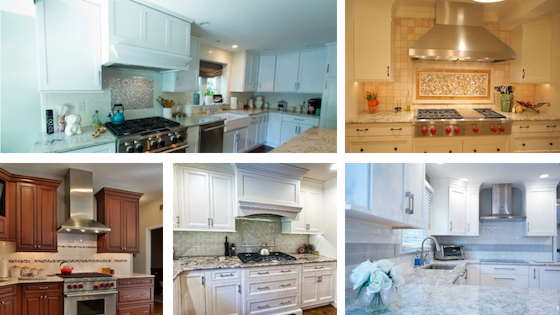 Depending on your kitchen layout, there are several types that could be a good fit for your home: undercabinet, chimney hoods, and island hoods. These hoods are mounted underneath the bottom of a wall cabinet. 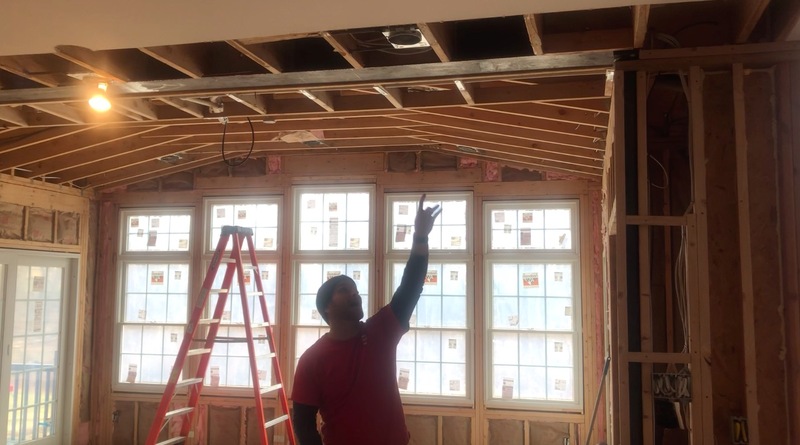 If the hood is on an exterior wall, ductwork can be routed up through the cabinet to the outside, or for some models, directly through the back of the hood. Otherwise, ductwork must be routed through the cabinet to a chase, soffit or ceiling. Typical kitchen cabinets extend only about halfway across the stove, so this extension routes steam and smoke away from cabinet faces and back toward the suction end of the range hood - protecting your cabinet finishes and paint from heat and water damage. Chimney hoods work where there are no cabinets over the range and mount with exposed vent stacks on the wall to vent to the outside. They are aptly named because they look like stainless steel chimneys. With a wide base and narrow duct, chimney hoods provide great ventilation in kitchens of all sizes. These offer a fresh, clean look to your kitchen and are very efficient. Chimney hoods can be purchased in a range of designs, functionalities (including vent speeds, lighting and more) and price ranges to fit your needs. These are mounted to and vented through ductwork in the ceiling. They don't need to be supported by a wall or cabinets alongside them to help funnel fumes. Because they aren't restricted, island hoods can be wider than the cooking surface, offering the wides range of ventilation. The layout of your kitchen largely dictates the type of range hood you can use. 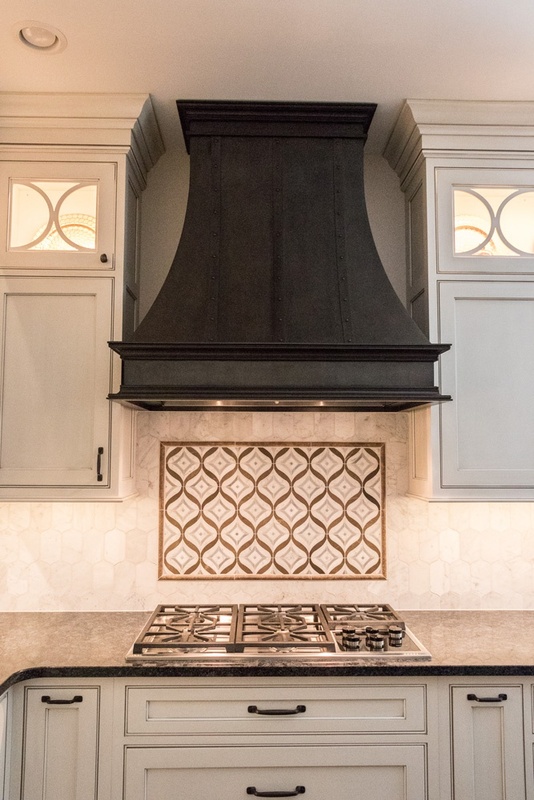 To choose the right size range hood, make sure that any model you consider is at least as wide as the cooking surface it goes above! Using the hood to vent your fumes, smoke and steam to the outside is the best overall plan for preserving the look and smell of your kitchen. Vent outdoors, if possible, using the largest-size solid, smooth-walled metal ducting that fits. Keep duct runs short and minimize bends to maximize airflow. A wall or roof cap outside the house prevents back drafts. For once, don't downsize; this is one time when bigger often is better. Any hood you consider should be at least as wide as the cooking surface it will be installed above. Install it properly! Make sure your range hood is installed according to the manufacturer's directions. Typically installation should be 18 to 30 inches above the burners or elements. This allows for room to work while helping to prevent steam from escaping to the sides. If you are an avid home chef, or you love to make things with oil, make sure you consider how easy the hood and its filters are to clean. Wash or replace the filters every one to three months, or more often if you cook frequently. Airflow: Not all hoods are created equal. From moderate to high-powered, look into what you need for the size of your space and the types of food you make and what you are willing to pay for. A number of Fan Speeds: Most range hoods offer from three to six fan speeds. We recommend a minimum of two speeds: a high-speed setting to use when cooking and a very low and very quiet setting to use after cooking to continue to ventilate the space while eating. Exhaust Timer: This convenient feature turns off the fan after a set period of time so you can rest easy after dinner, knowing your kitchen is being cleaned but won't run all night. Wondering how to choose other kitchen materials?